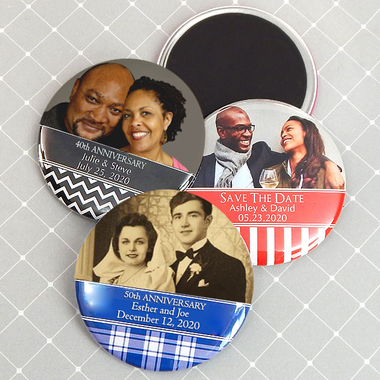 Whether you are celebrating your 1st, 25th, 40th or golden anniversary, these photo magnets or mirrors make the perfect favors. 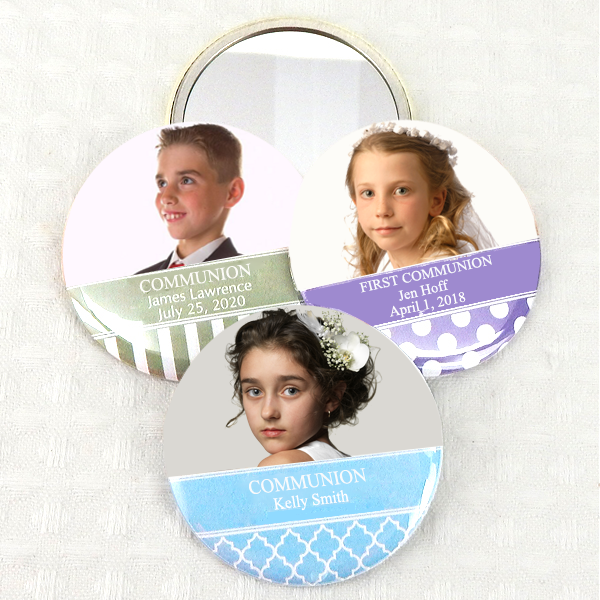 Select from your wedding photo or a current image, any will be treasured by guests. 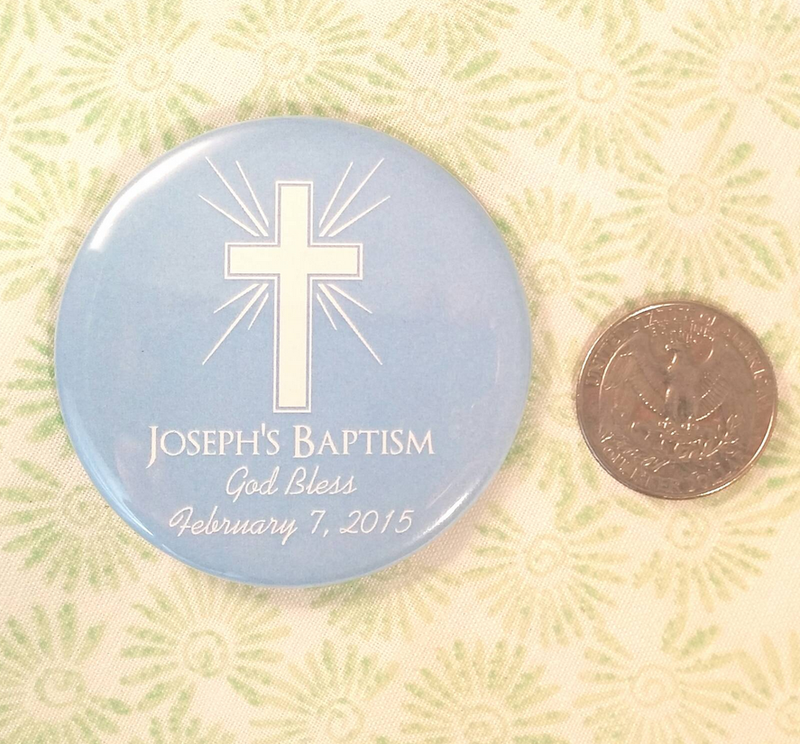 Each measures 2.5" in diameter. 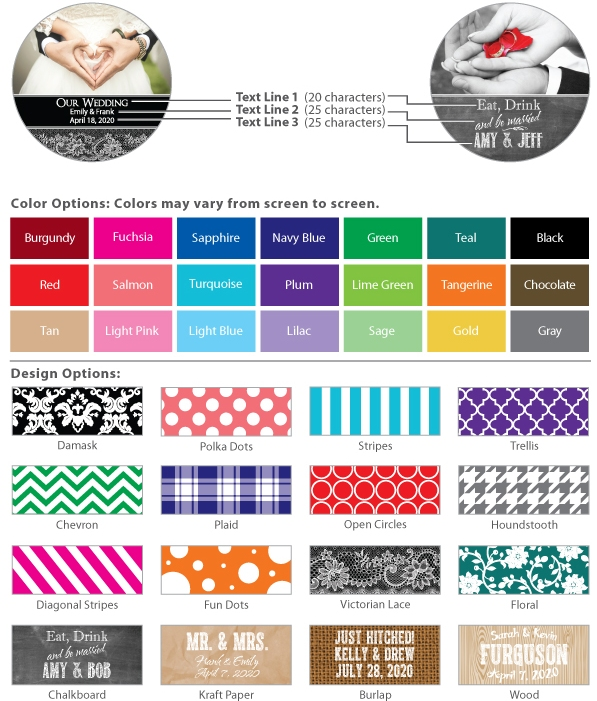 Select from a variety of designs and colors.